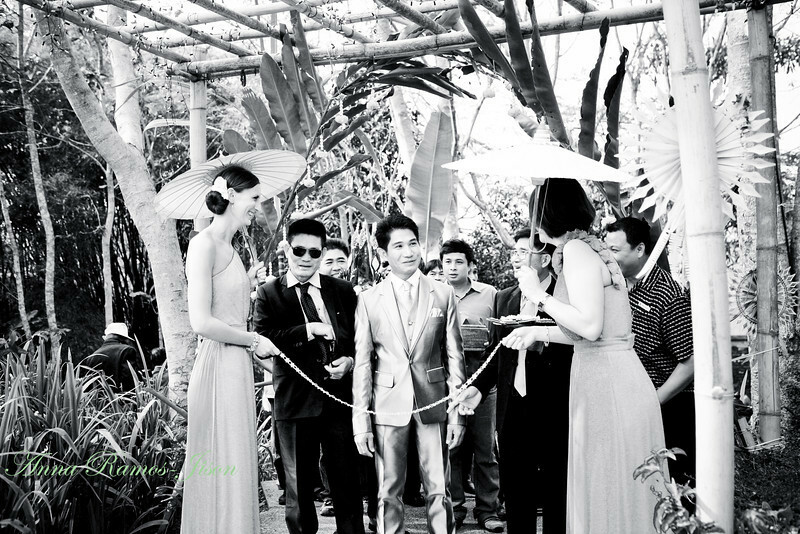 Wedding shoot I did at the beautiful Anantara Golden Triangle Resort in Chaeng Saen, Thailand. The venue overlooks the Mekong River which borders the 3 countries - Thailand, Burma and Laos; hence, the name Golden Triangle. When I got the email from UK asking if I could shoot the wedding of their daughter, I was thrilled! Who wouldn't be with 4 baby elephants as part of the entourage! Images are best viewed as a Slideshow. Groom had to answer questions from bride's sisters before they let him pass through.